Want it by Wednesday 24th April? Order within 1 day, 1 hours, 54 minutes and choose Royal Mail Tracked 24 Hour at checkout. 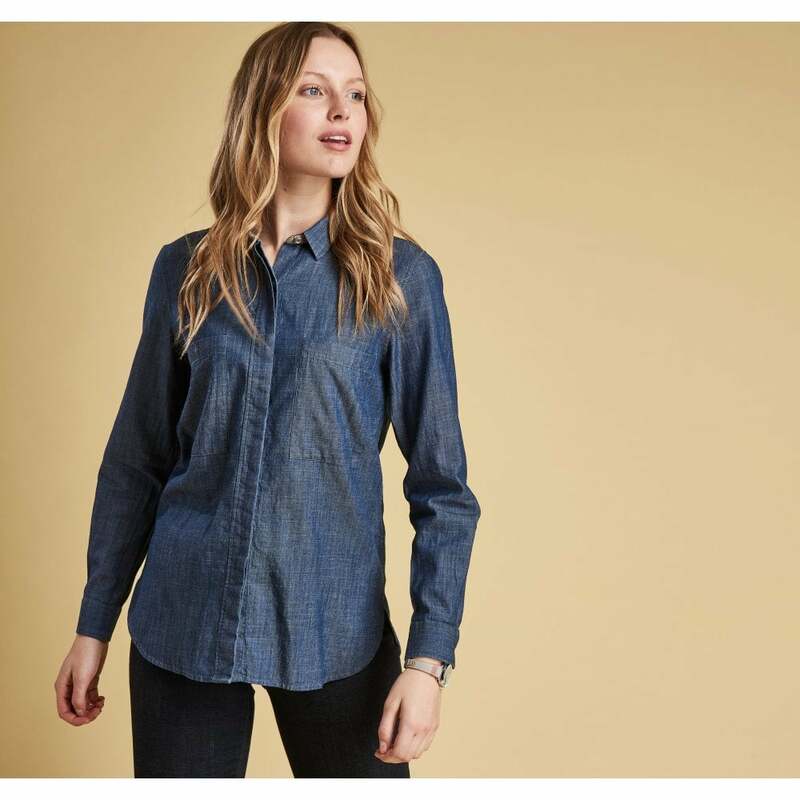 We love the Berneray Girlfriend Fit Shirt from Barbour, crafted from 100% cotton which is soft to the touch and features a classic washed denim fabric. Finished with long sleeves, a chest pocket and a concealed placket. We think this shirt is perfect for effortless autumnal dressing, and looks great tucked into dark jeans with your favourite ankle boots.